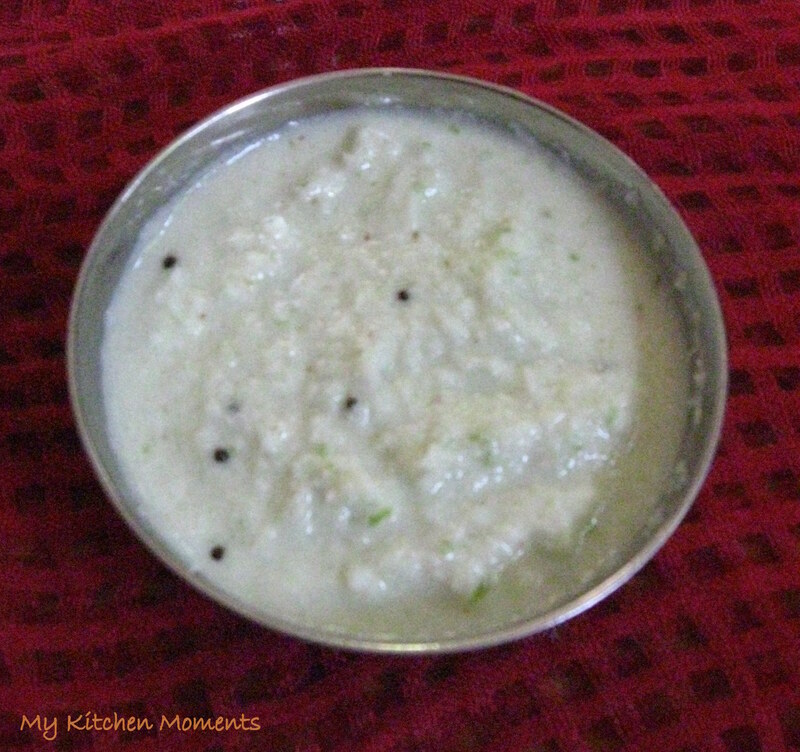 Coconut chutney is an all time favorite chutney for me. I could have it for Idli, dosa, pesarattu or even for chapati. It is a simple side dish for breakfast and could be ready in a jiffy when you are running out of time in the mornings. I have seen some storing the chutney in refrigerator for using it for the next 3 to 4 days. But i like to prepare and eat it fresh on the same day. Grind all the ingredients under the ‘Ingredients table’ into a smooth paste. Transfer it into a small bowl. Temper with the items given under the ‘To Temper’ table. And mix well. Serve with Idli, dosa or pesarattu. You can keep the chutney thick in consistency or in a thin watery consistency. It all depends upon one’s taste and likings. You can use red chillies instead of green chillies while grinding. It gives a different flavor. But i always like coconut chutney ground with green chillies. Roasted gram dal or Pottukadalai can also be used. Optionally, lemon juice can be used instead of tamarind.